Innovation for Next-generation, High-density Data Centers: HGST delivers the world's first hermetically sealed, helium hard drive, the Ultra star He for massive scale-out environments. Why does helium make a difference? Helium has only one-seventh the density of air. Replacing air with helium inside a hard drive dramatically reduces the turbulence caused by the spinning disks, cuts power consumption and results in a lower temperature within the disk drive. The reduction in turbulence for the spinning disk allows HGST to deliver a seven-disk design in a traditional 3.5-inch form factor. In addition to being the world's first helium-filled hard drive, HGST Ultra star He is also the first hard drive in the industry to offer a 6-terabyte capacity. This design provides a 50% capacity gain and still reduces the energy needed to run the drive by up to 23%. TCOptimized - Driving Down Data Center TCO with Helium: The amount of data that companies need to store is growing exponentially, but IT budgets remain flat. With 6TB, a low 5.3 idle watts, a reduced weight of 640g, and running at 4-5 DegreeC cooler, the new Ultra star He lowers data center total cost of ownership (TCO) on virtually every level. 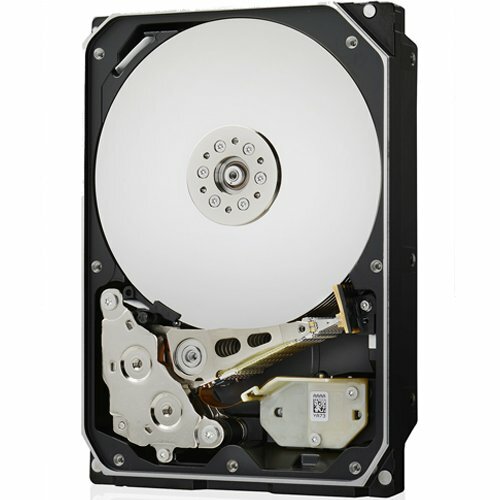 Technology Innovations Make it Happen: Through HGST's innovative and patented HelioSeal process, the Ultra star He6 drive is the industry's first hermetically sealed helium-filled HDD that can be cost-effectively manufactured in high volume. This unique sealed-drive platform provides a path for higher capacity storage for decades to come while significantly lowering customer total cost of ownership (TCO). The inherent benefits of helium enable HGST's new 7Stac disk design with 6TB, making it the world's highest capacity HDD with the best TCO for cloud storage, massive scale-out environments, disk-to-disk backup, and replicated or RAID environments. If you have any questions about this product by HGST, a Western Digital Company, contact us by completing and submitting the form below. If you are looking for a specif part number, please include it with your message.